Last week Aussie scientists revealed some groundbreaking research that an increase in vitamin B3 (niacin) could prevent miscarriages and a range of birth defects. Amazing! Exactly how much pregnant women should be having hasn’t been advised yet, but in the meantime here are 16 foods high in B3 you might want to get stuck into. In addition to what we now know about it helping expecting mums carry and deliver healthy babies, niacin (vitamin B3) also has many other benefits. It can help promote healthy skin, improve fatigue, lower blood pressure (and therefore risk of heart disease or stroke), lower cholesterol, relieve arthritis pain and joint mobility, aid digestive issues, and even help reduce the risk of anxiety, dementia, dermatitis and depression. Magical! So take a look at these B3-rich foods for some inspiration in the kitchen. 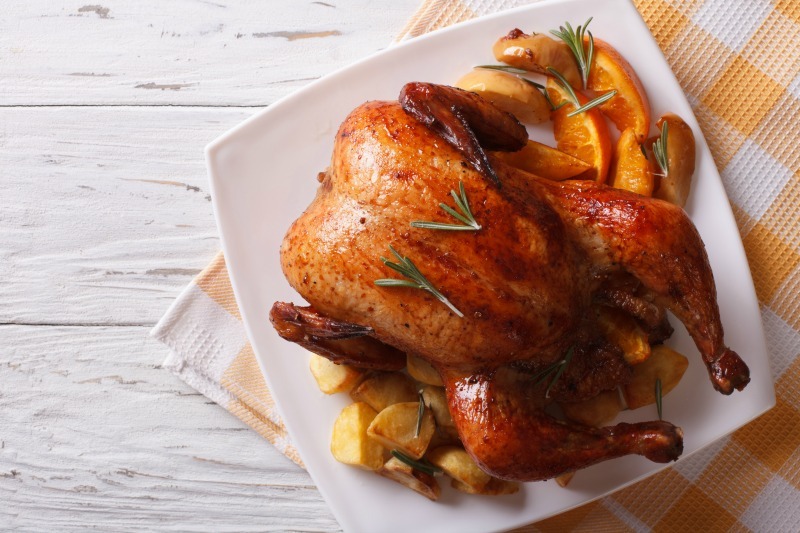 Poultry is particularly high in vitamin B3 so get roasting! And don't forget about turkey either - it's not just for Christmas time. Just be sure to avoid the processed versions (like cold deli cuts) and ensure that it's thoroughly cooked and hot when eaten to avoid listeria. Chicken mince could also be a good option for meal variety. Have you changed your diet during pregnancy?